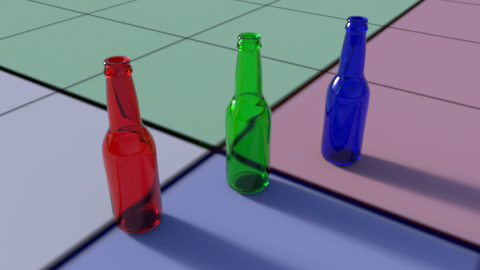 A (smooth or rough) glass material with Fresnel reflection and refraction. 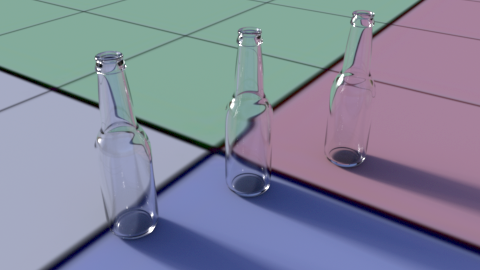 Differently tinted reflections and refractions are possible. Beer's law absorption supported. The index of refraction is a physical property of a material. 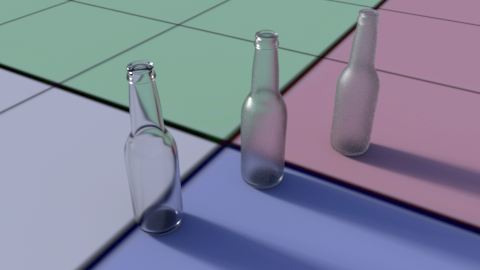 Smaller values (relative to the medium) bend light less. Reasonable ior values for glass are in the range 1.47 - 1.95. Controls the roughness of the material. Larger values produce more blurred highlights. Smaller values produce tighter highlights. A scalar multiplier for reflectionColor, a convenience for pattern graphs. Tints the refracted light. Note that transmission color (and gain) are surface effects, while the absorption is volumetric. 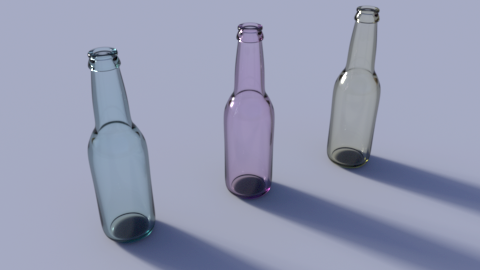 In other words, the effects of transmission color are not dependent on the thickness of the glass. This value is only relevant when aborptionGain is greater than 0. The absorptionColor is an inverse color: higher channel values are absorbed more. A visually blue material might have an absorptionColor of (1 1 0.5). A non-zero value triggers computation of Beer's law, which calculates the absorption of light based on the distance through the material it travels. This value is multipled by the absorptionColor. Since absorption is a physical property, aborptionGain can be (arbitrarily) greater than 1. Choosing a reasonable value will depend on modeling units. 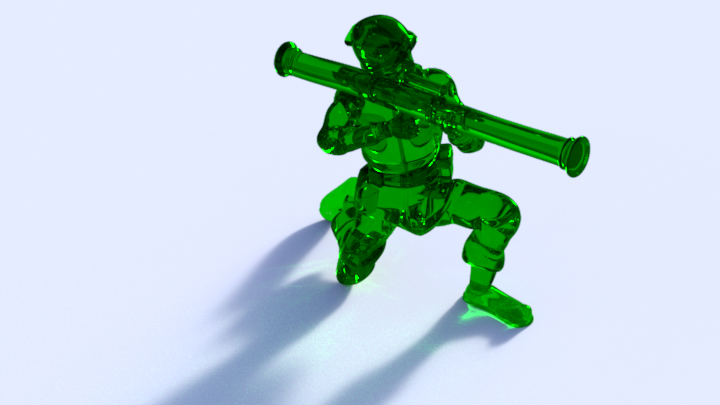 For solid objects, we can reduce noise by assuming that direct light sources exist in a subset of potential locations. Usually Outside is the best setting. 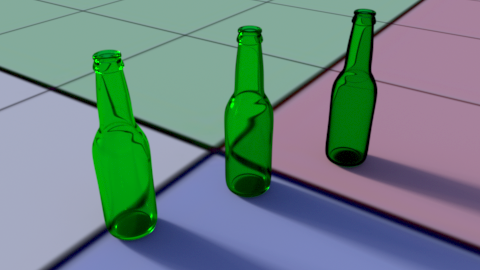 Choosing None disables the effect and removes the cost of direct lighting computations and may be useful (faster) when an object is only illuminated through indirect light paths.